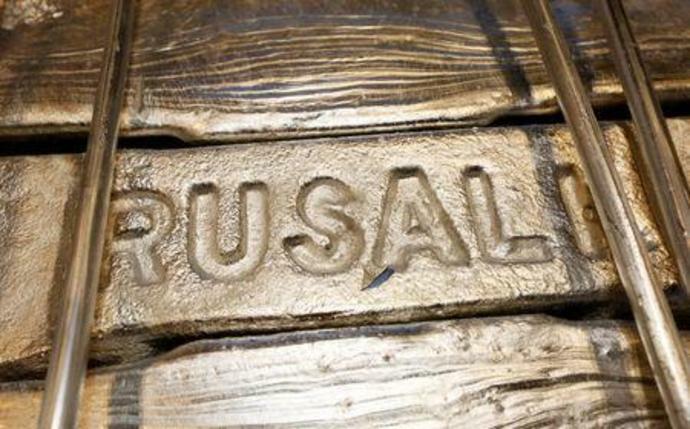 WASHINGTON (Reuters) - U.S. President Donald Trump's administration on Sunday lifted sanctions on aluminum giant Rusal <0486.HK> and other Russian firms linked to oligarch Oleg Deripaska, despite a Democratic-led push in the U.S. Congress to maintain the restrictions. Earlier this month, 11 of Trump's fellow Republicans in the U.S. Senate joined Democrats in a failed effort to keep the sanctions on Rusal, its parent, En+ Group Plc, and power firm JSC EuroSibEnergo. But that was not enough to overcome opposition from Trump and most of his fellow Republicans. Advocates for keeping the sanctions had argued that Deripaska, an ally of Russian President Vladimir Putin, retained too much control over the companies to lift sanctions imposed in April to punish Russia for actions including its annexation of Ukraine's Crimea, efforts to interfere in U.S. elections and support for Syria's government in its civil war. Some lawmakers from both parties also said it was inappropriate to ease the sanctions while Special Counsel Robert Mueller investigates whether Trump's 2016 presidential campaign colluded with Moscow. But in its statement on Sunday, the U.S. Treasury Department said the three companies had reduced Deripaska's direct and indirect shareholding stake and severed his control. That action, it said, ensured that most directors on the En+ and Rusal boards would be independent directors, including Americans and Europeans, who had no business, professional or family ties to Deripaska or any other person designated for sanctions by the Treasury Department. "The companies have also agreed to unprecedented transparency for Treasury into their operations by undertaking extensive, ongoing auditing, certification, and reporting requirements," the department's statement said. Deripaska himself remains subject to U.S. sanctions. Trump administration officials, and many Republicans who opposed the effort to keep the sanctions in place, said they worried about the impact on the global aluminum industry. They also said Deripaska's decision to lower his stakes in the companies so that he no longer controlled them showed that the sanctions had worked. Rusal is the world's largest aluminum producer outside China. The sanctions on the company spurred demand for Chinese metal. China's aluminum exports jumped to a record high in 2018. Trump denies collusion, and Moscow has denied seeking to influence the U.S. election on Trump's behalf, despite U.S. intelligence agencies' finding that it did so. Deripaska had ties with Paul Manafort, Trump's former campaign manager. Manafort pleaded guilty in September 2018 to attempted witness tampering and conspiring against the United States.